I have known about the grief of losing a mother intellectually through my studies, and as a witness to my grieving clients’ pain. I now know deep in my soul, after recently losing my own mother, that nothing can really prepare us for experiencing the death of our mothers. The feeling of my mother’s assuring embrace has buoyed me through the waters, both rough and smooth, sad and joyous, of my life. I am confident that as I move through the raw and acute pain of the beginning of the grief process, I will feel that embrace more and more. 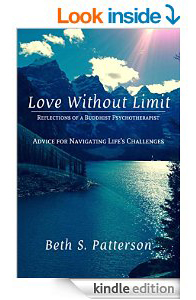 Author LeAnne Schreiber has said, “What I have learned …is that a single death can transform your life, especially if the death is that of your mother or father….It doesn’t matter whether that parent was beloved or resented, whether the relationship was close or distant, warm or cold, harmonious or hotly conflictual. It doesn’t even matter how old you are, or how old your parent was at the time of death. For most people, the death of a parent is life altering.” (retrieved from http://www.oprah.com/spirit/When-a-Parent-Dies-Dealing-with-the-Death-of-a-Parent#ixzz3gSYzgUso). I often describe families as mobiles, swaying to find balance in the face of life’s challenges. The mother is the anchor or the ballast piece of the mobile, helping the other family members who are part of the mobile maintain a semblance of balance. When that primary figure is taken away from us, the mobile wobbles greatly as it tries to find a new balance. Part of the grief journey involves finding that new balance, individually and together as a family. In the process of finding this new balance, all of the positive and negative aspects of the family system come to the fore. The primary parent’s death may bind the family members together more strongly than ever before. On the flip side, the neurotic and more negative aspects of the family system are also more painfully apparent. From a systems theory perspective, the purpose of the family system is to find its own balance, however dysfunctional that may be. Without discounting that some families endure serious or abusive dysfunction, generally speaking, the family is made up of perfectly imperfect human beings. That is part of the beautiful complexity of life. After the death of a loved one, we are left with the question “who am I now?” I am already wondering how I will fill the void of phone calls with my mother when I needed a guiding hand or wanted to share with her a joyous or sad experience. Because of the geographic distance between us, our phone calls often took the place of those reassuring hugs from my mother. Other issues may arise as we experience our grief. We may realize that there is unfinished business that needs to be resolved. 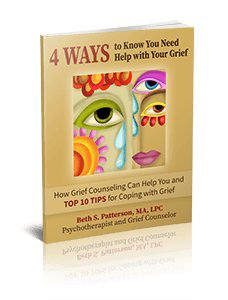 If the mother’s death was unexpected or her decline or death was painful to witness, there may be traumatic elements that need to be healed as part of the grief process. Allowing ourselves to feel our pain, seeking support and allowing others to support us, taking care of our physical health, and expressing our feelings through journaling, dance, art or other media are some of the tools that will help us as we journey through this important life transition. Gradually, as we go through this process, the acute pain will subside, and we will be left with the nurturing love of our mothers in our hearts to guide us on our path through life. * This piece is written from the perspective of what psychiatrist D.W. Winnicott calls the “good enough mother,’ i.e., the mother who provided sufficient nurturance to create a sense of trust and safety in the growing child. It is not meant to ignore the many cases where the mother was not “good enough.” Such situations can complicate the normal grief process, requiring therapy to work through the pain of not having a mother who was good enough, in order to heal and move forward in life. 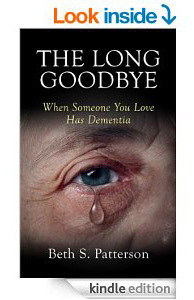 This entry was posted in Grief and Bereavement, Life Transitions. Bookmark the permalink. Beth, I’m so sorry you lost your mother. I hope you are well and I wish you all the best going forward, which I know you are very capable of doing. You are a wonderful person!